Launching a rebrand, from the inside out. Why culture and strategy have to play nice together. New business opportunities and accelerating growth are often the impetus for a brand refresh. 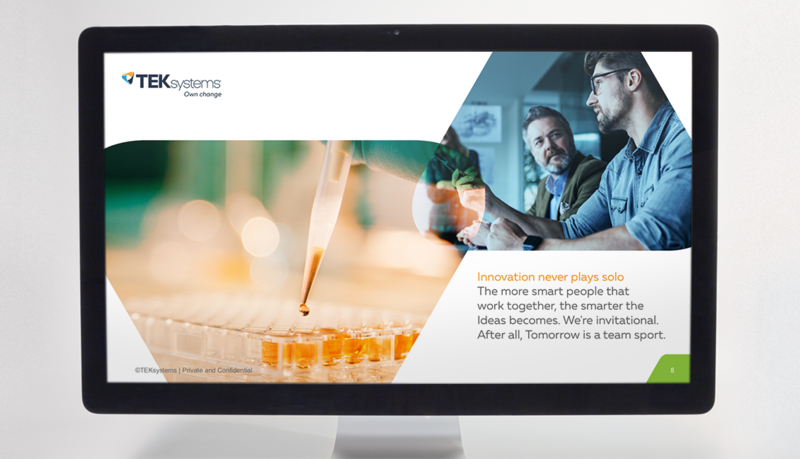 In the case of TEKsystems, they needed a new way to tell their story and the tools to bring that shift in strategy to life — both inside and outside the company. One of the largest, most well-known global IT staffing companies, TEKsystems wanted a higher profile for their consulting services. That’s no small task — changing the mindset and perceptions from recruiting to high-level business transformation. It’s a competitive space ruled by established giants like Accenture, Deloitte and McKinsey. In addition, TEK has a strong corporate culture built on accountability, deep client engagement and an energetic, hands-on attitude. It was critical to protect those character values and show how they play a distinctive and powerful role in TEK’s approach to consulting. Salt and our Plus network partners, YouGov and WECommunications worked together to develop an idea that spoke to both worlds — internal and external, company employees and new business prospects. It was a company rallying cry, a client promise, a unique point of view and a true expression of culture. In two short words, Own Change became the creative focal point for all new brand communication and storytelling. Taking ownership of change spoke to clients looking for control in a time of reinvention and also inspired employees at TEK to embrace a proactive role in making it happen. 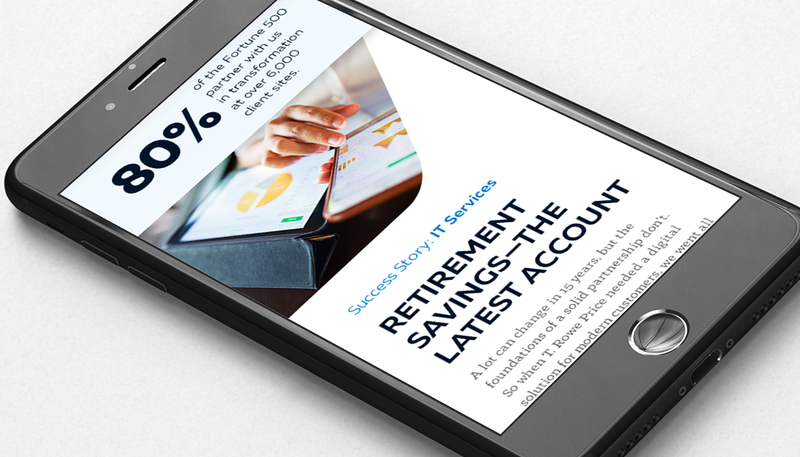 TEK now had an authentic, compelling story that set them apart from Accenture and Deloitte. Salt then built out a comprehensive brand positioning, narrative and messaging around Own Change. 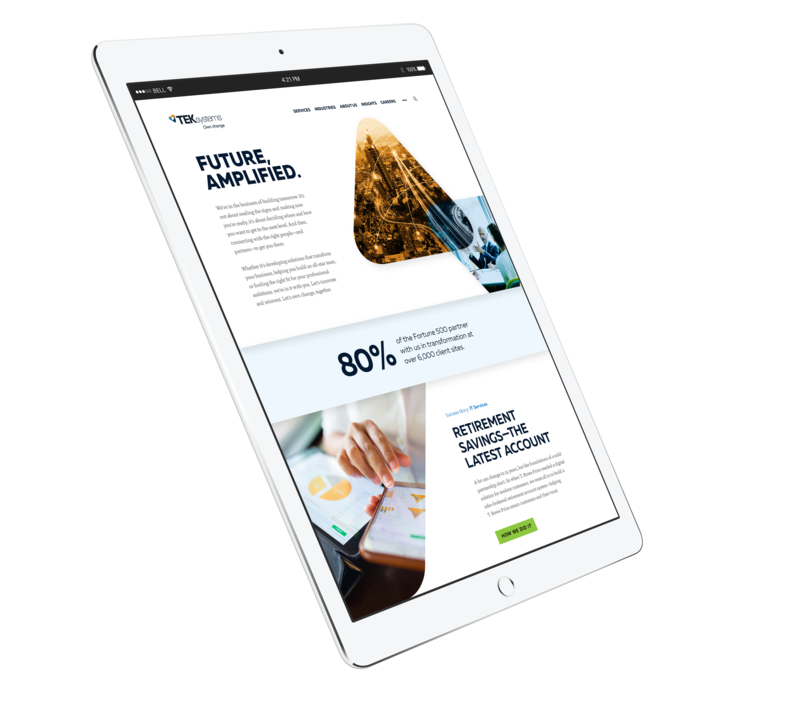 This became the engine that powered the entire rebrand: a bolder visual identity, more energetic and engaging voice, new website and marketing materials. 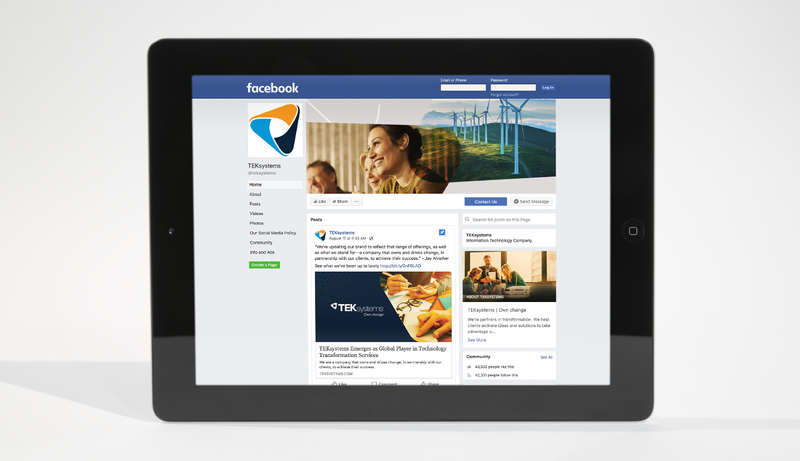 A full redesign of the TEK website showed how Own Change happens in every industry. 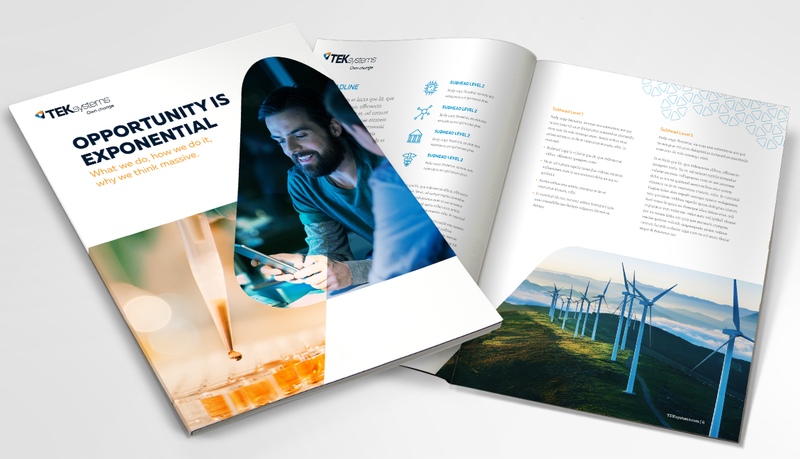 By putting case studies front and center, TEK provided the evidence for their hands-on, collaborative work-style and go-the-extra-mile attitude. In particular, Salt took cues from the triangular shape of the TEK logo to create a graphic visualization of partnership and transformation coming together. The TEK brand voice also changed to express the personality and aspirational thinking behind Own Change. The rhythm of the language became tighter, more energetic and approachable — a perfect match for TEK’s view on their closer, more engaged partnership with clients. A successful rebrand is always an inside job. Ultimately, it’s the people within a company who embody the values that define the culture. By making training and education a priority, Salt and TEK were able to give everyone an understanding of how they could Own Change for themselves. Five internal training videos and a full-day session on writing in brand voice helped launch the New TEKsystems brand. A separate video featured TEK leaders giving their own personal perspectives on Own Change and how it expressed the company values and strategic vision. All this work created a sense of momentum, energy and anticipation. Own Change now had thousands of motivated new owners. 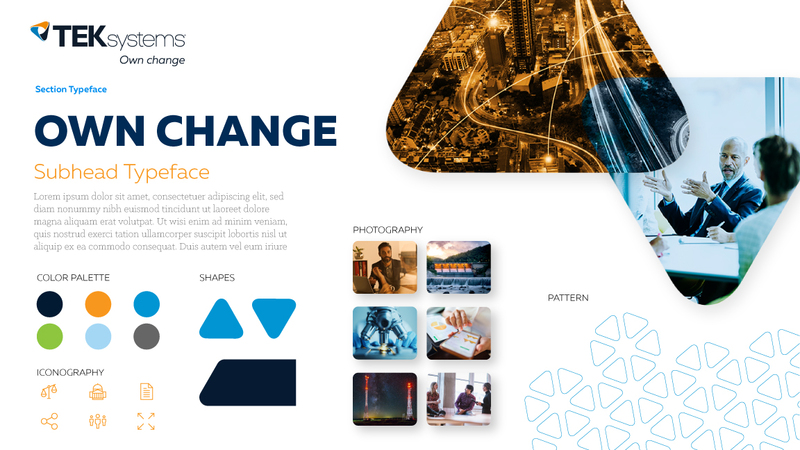 TEKsystems made a conscious decision to communicate their rebrand both internally and externally — telling a story that would resonate for employees and clients. And by focusing on training and education, they were able to change the mindset of their people from staff augmentation to business transformation. They took charge of Owning Change.